We are inspired and energised by one uniting vision- a future in which everyone has the best care and health possible. We are committed to the care and improvement of human life in our facilities and the communities we serve. To improve health and healthcare worldwide, to provide quality healthcare at a reasonable cost to our patients We aim to add value to people's lives every day. We value leadership, which is fair and objective. We collaborate as a team; we work as a cohesive unit with common systems, knowledge and unconditional teamwork. Continuous improvement of systems can make a difference in quality of health and healthcare. Results for patients define our success. We interact with everyone with the spirit of cooperation, sense of humour and respect. We interact with honesty, integrity and fairness in the conduct. We provide compassionate and competent healthcare. We value innovation, ideas and seek to involve our people in everything we do. Dr. Amritpal Singh Chhabra- Medical Officer. 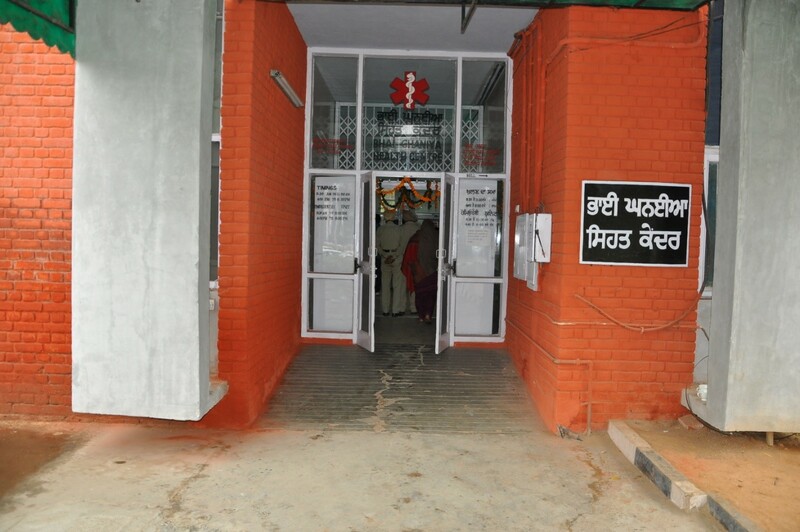 Health Centre remains open for 24 hours a day, 7days a week, even on all holidays and festivals. We are providing health care services in all Youth Festivals, Sports Activities, Conferences, Seminars and NSS Camps. Laboratory of Health Centre is fully equipped with Cell Counter and Biochemistry Analyser. We are doing all Routine investigations like Complete blood count, Lipid Profile, Blood Sugar, Kidney and Liver function Tests. We are having Digital X-Ray (COMPUTERIZED RADIOGRAPHY) here where we are doing X-Rays investigations of the employees and their dependents at very nominal rates and free of cost to the students. We are participating in National Programmes like Pulse Polio Programme, we are holding camps here to give polio drops to the children and also house to house visits are made by our staff to administer polio drops. 9. We are running DOTS CENTRE under National Tuberculosis Programme. We have got the authorization from Punjab Pollution Control Board for the safe disposal of Biomedical waste . We have made collection point for the Biomedical waste generated in 5 Departments- Dept. of Pharmaceuticals, Human Genetics, Zoology, Biotechnology and Forensic Science. Then all the waste is sent to an authorized firm at Ludhiana as we have signed MOU with it. In collaboration with Patiala Heart Institute and 92.7 FM radio we conducted a seminar on Coronary Heart Disease -A seminar on Diabetic Retinopathy was conducted in collaboration with Rajindra Hospital. - Free Blood Sugar check up Camp was held on 7th April 2015 in Health Centre. Remember – Health is not only the absence of disease, it is the complete presence of physical, mental and social wellbeing. Health is valued only when it is lost. We wish you all very happy and healthy life.